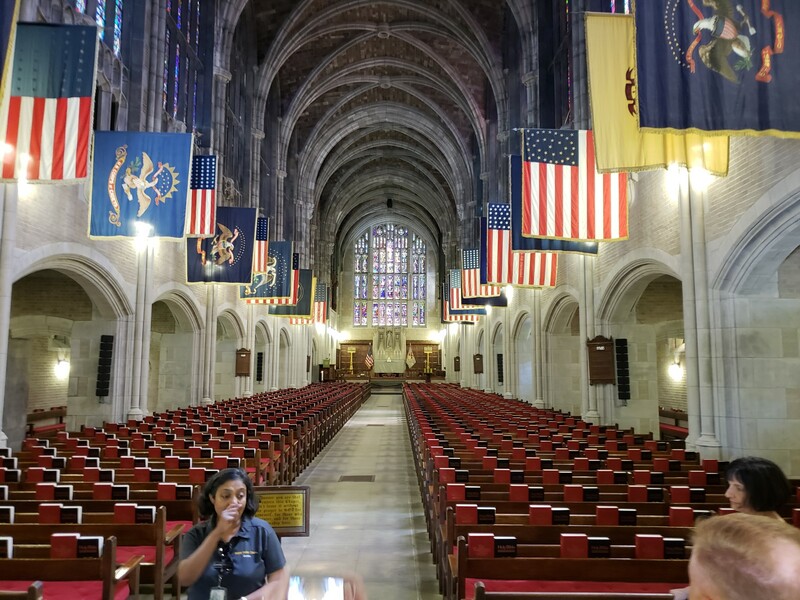 Our 2018 Road Trip, Part 26: Two West Point Chapels « Midlife Crisis Crossover! The Cadet Chapel’s Sanctuary Window. At the bottom you can just barely make out the motto “Duty, Honor, Country”. 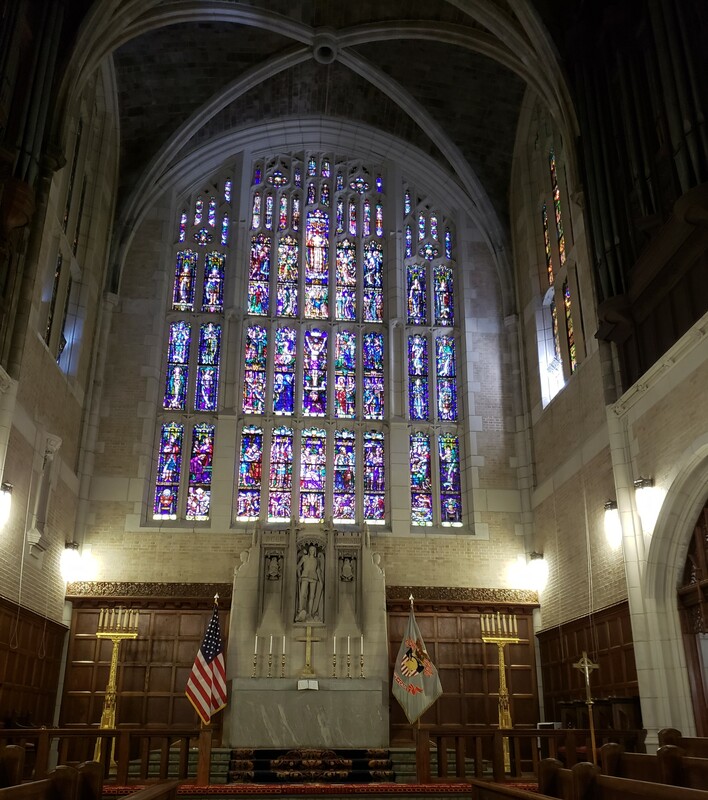 Our two-hour tour of the United States Military Academy — or “West Point”, its street name — included not just its storied cemetery, but a look inside two of their chapels — one over a century old, the other nearly twice that, each steeped in faith and history. The Cadet Chapel, for all the Gothic architecture fans out there. The view as we walked through the front door. 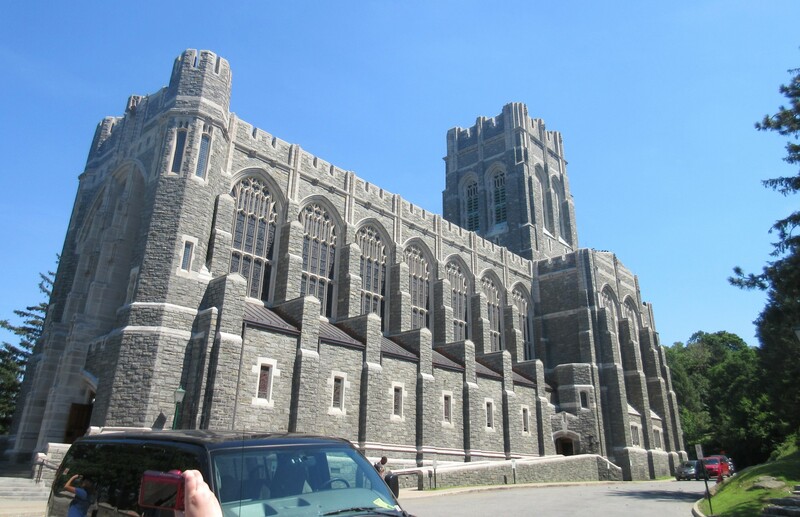 West Point’s Cadet Chapel dates back to 1910, over 22,000 square feet of granite to hold a variety of Protestant services. 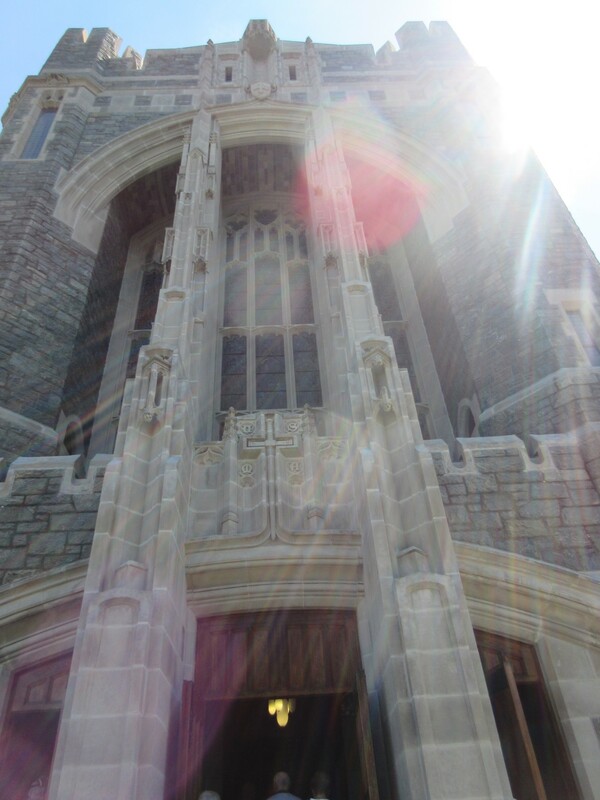 Other chapels for other faiths can be found around campus, but they weren’t part of the official tour. 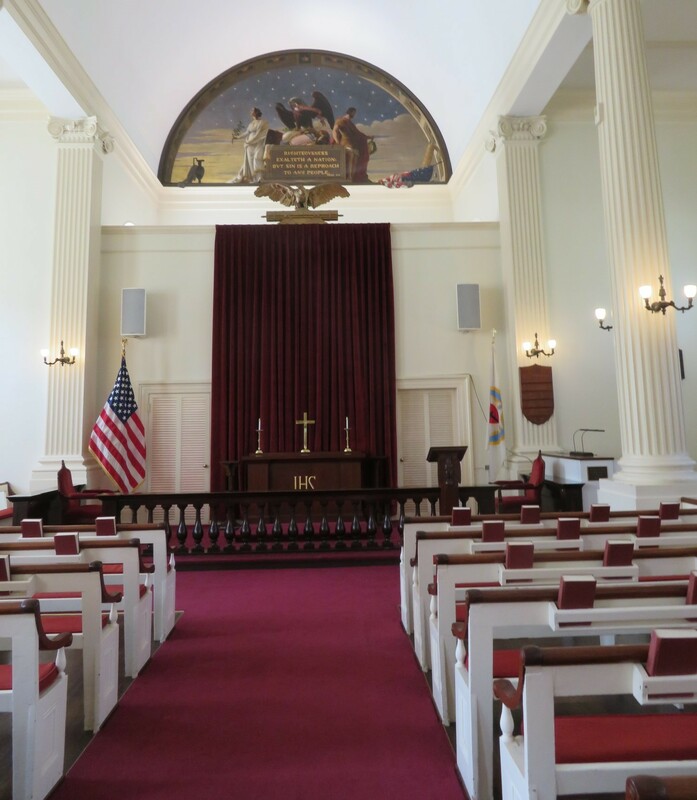 The vaulted nave, flags unfurled and Bibles and hymnals uniformly organized. 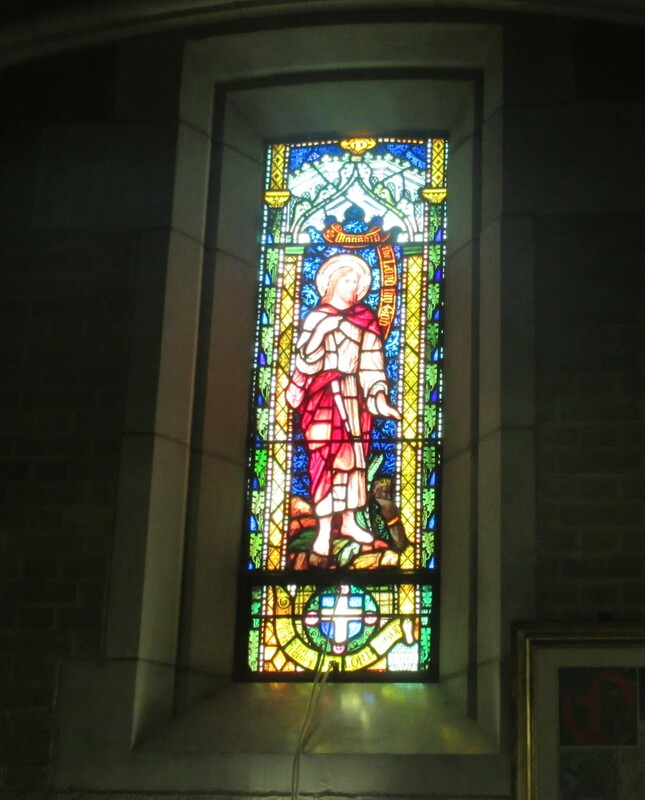 One among the many smaller stained-glass windows lining either side. 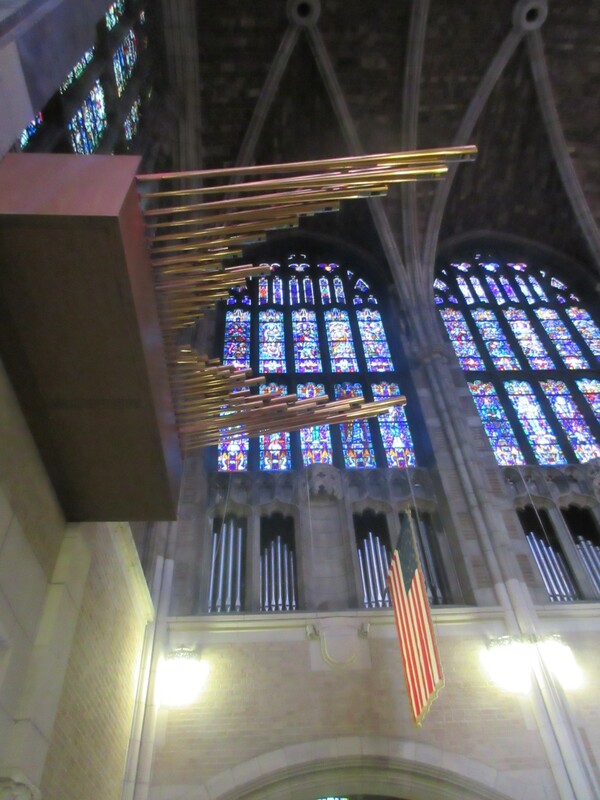 …while its 23,911 pipes are positioned all around the chamber — some as high as 32 feet tall, some jutting toward the congregation like so. 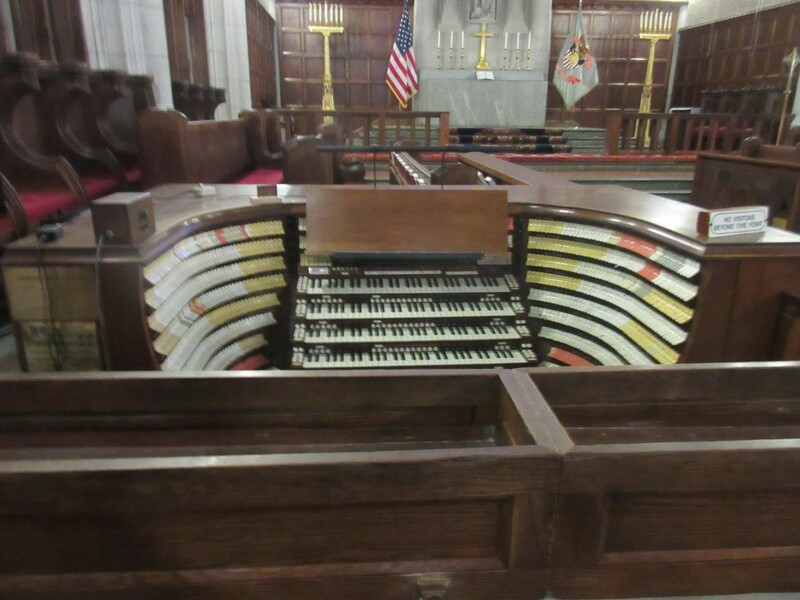 Before the Cadet Chapel, there was the Old Cadet Chapel, still around to this day. It was built in 1836, but relocated to the cemetery grounds after the completion of its successor. It still houses a Lutheran service on Sunday mornings. It also contains a bit of history acknowledgment. It was such a small, unassuming building compared to the newer Cadet Chapel that neither of us thought to take a photo on the outside. This way to Sunday morning services. 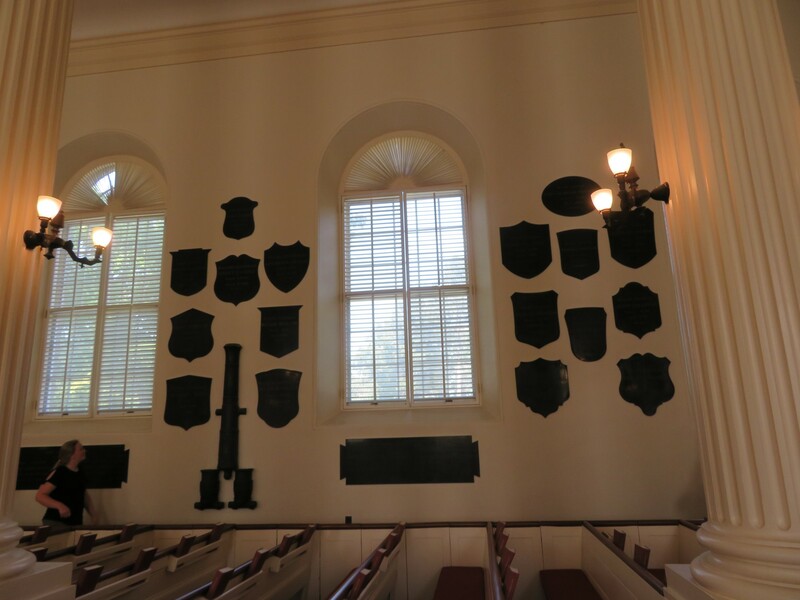 The part Anne wanted to see most in this chapel: on the east wall is a collection of plaques honoring the highest-ranking American officers in the Revolutionary War. 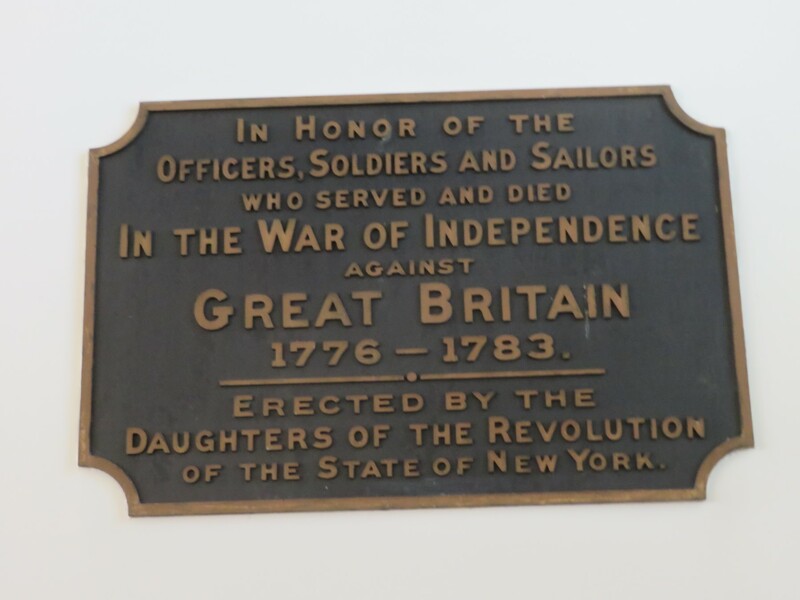 Credit where due, to the Daughters of the American Revolution. 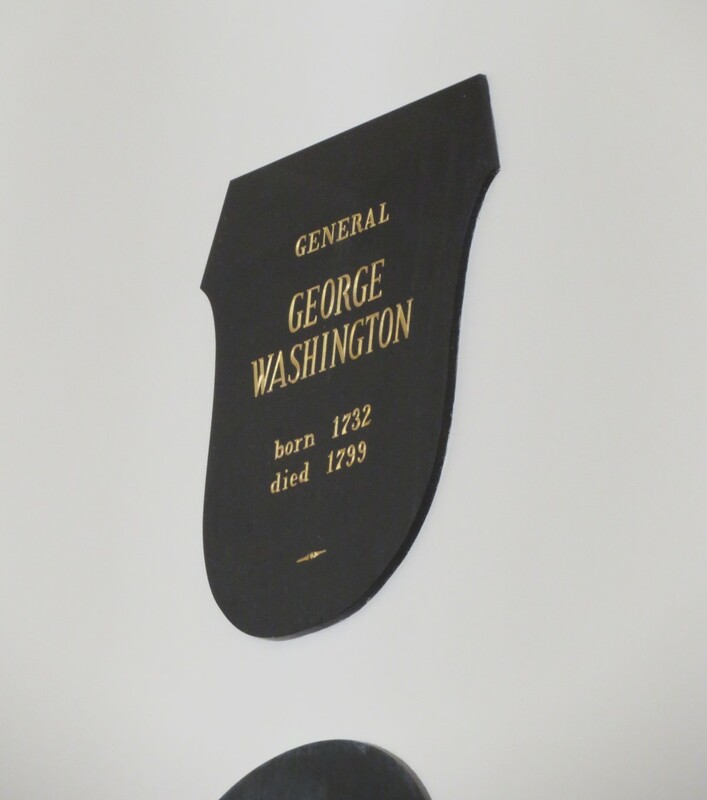 Of course there’s a George Washington plaque, duh. 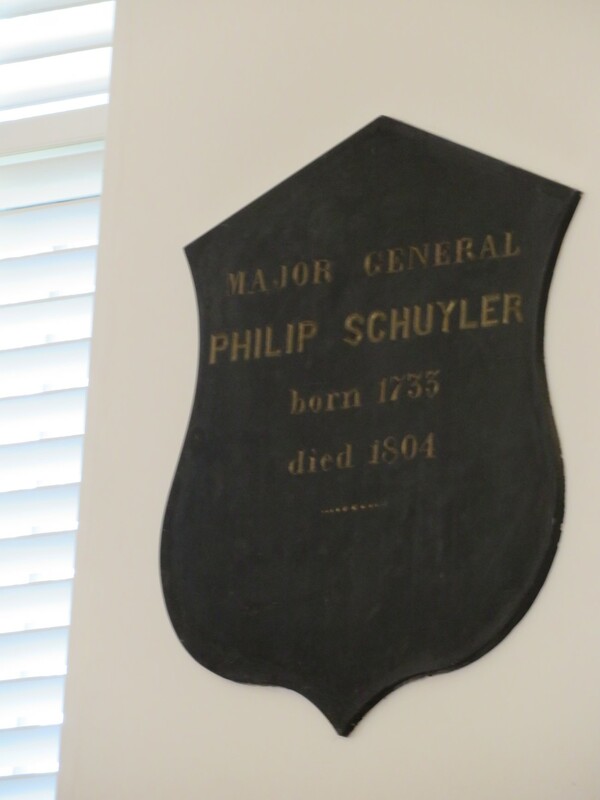 General Phillip Schuyler has been name-checked in four previous chapters in this series, and we’re not ready to let him go yet. In the 1770s the American people in their teamwork development were somewhere on the scale between the Bad News Bears and the village from Seven Samurai. Someone had to show us how to fight and then form the Continental Army. 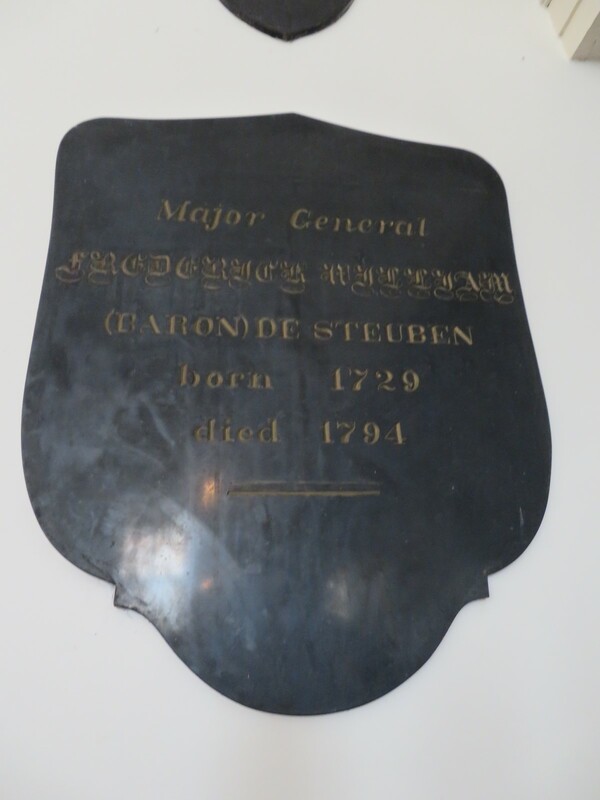 That someone was Baron von Steuben, Prussian advisor turned American officer and later Washington’s wartime chief of staff. 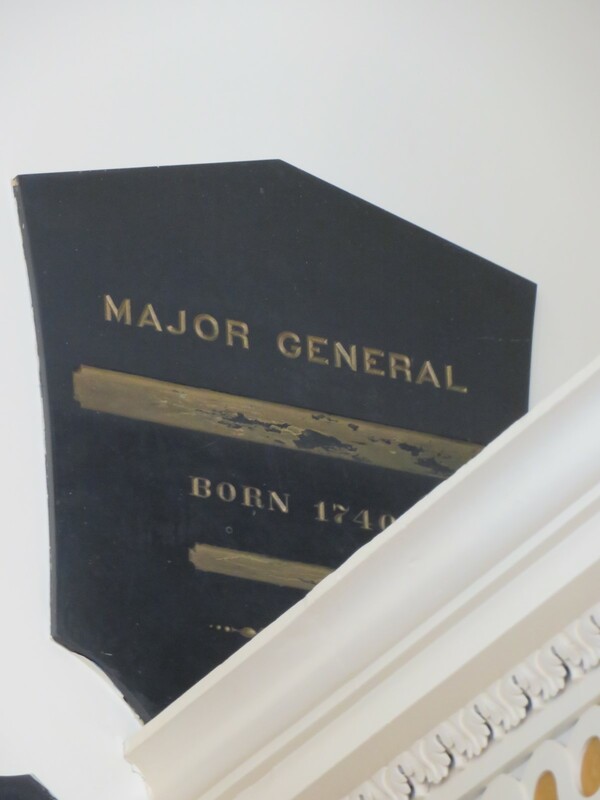 Just as Saratoga National Historic Park twice acknowledged the vital contributions of Benedict Arnold while dissing him at the same time, so does the Old Cadet Chapel contain a plaque holding his place but refusing to utter his name. 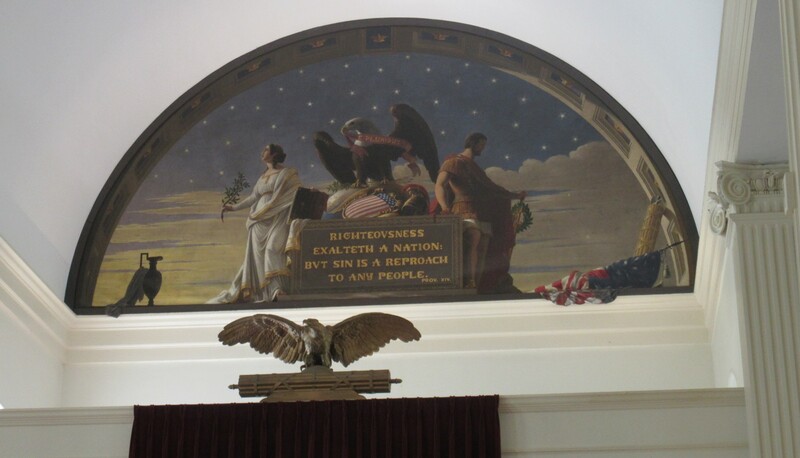 Closeup on the wise words of Proverbs 14-34 above the pulpit. Righteousness is a noble goal for a nation to pursue, but sinfulness disgraces us all. Our tour concluded close to 4:30. After Anne finally got to use the smashed-penny machine in their gift shop, we took our leave of West Point, headed southwest through the confusing town of Highlands, and completed at least two full laps around the area before I finally found a road sign I could trust to lead us toward the next highway out. From there we crossed into New Jersey and located our final stop, an extended-stay hotel in Parsippany. We didn’t see too many other guests, though we did walk past a pair of somewhat tense women who seemed to have strutted straight out of a Real Housewives season, not the sort of folks we ever meet back home in Indiana. The very friendly staff assigned us an enormous set of rooms. Plural. Two bathrooms, four beds, three TVs, and a full-service kitchen. The two of us just needed to sleep, but it was fun to use a real coffeemaker on vacation for once, and to pretend we lived in a mini-mansion for one night.